Erin O'Toole was first elected to the House of Commons in November 2012. In January 2015, Mr. O'Toole was appointed Minister of Veterans Affairs. Previously, he was appointed Parliamentary Secretary to the Minister of International Trade in September 2013. Mr. O'Toole graduated from the Royal Military College in 1995 with a Bachelor of Arts degree (Honours) and was commissioned as an officer in the Royal Canadian Air Force. He served at the Rescue Coordination Centre in Trenton, Ontario, and as a Tactical Navigator on the Sea King helicopter in Shearwater, Nova Scotia. Following the completion of his service in the regular forces, Mr. O'Toole transferred to the reserves and attended law school at Dalhousie University. He graduated in 2003 and returned to Ontario, where he practiced corporate law and litigation with two national law firms and served as in-house counsel to Procter and Gamble, a large consumer goods company. Mr. O'Toole already has an extensive record supporting our troops, past and present. He was a founder of the True Patriot Love Foundation, which has raised awareness and significant funds for programs supporting members of the military, veterans and their families, as well as a former director of the Vimy Foundation. He is also a long time member of Legion Branch 178. As a member of Treble Victor, Mr. O’Toole helped transitioning military members find meaningful employment in private sector. He also served on the Board of Governors of the Royal Military College of Canada. In an effort to raise awareness of Veterans’ mental health issues, he co-founded the Annual Lieutenant Colonel Sam Sharpe Veterans Mental Health breakfast. Mr. O'Toole lives in Courtice, Ontario, with his wife Rebecca and their children Mollie and Jack. 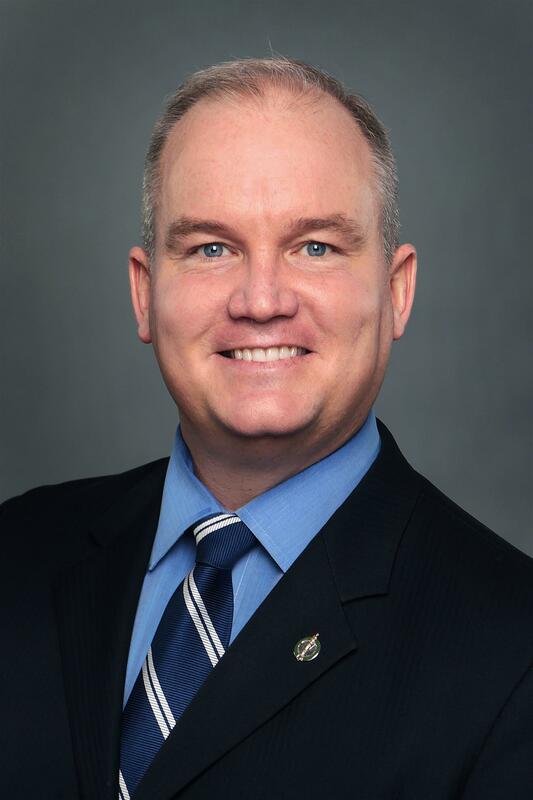 Erin O'Toole a été élu pour la première fois à la Chambre des communes en novembre 2012. En septembre 2013, il a été nommé secrétaire parlementaire du ministre du Commerce international. Monsieur O'Toole a été nommé ministre des Anciens Combattants en janvier 2015. M. O'Toole a obtenu un baccalauréat ès arts (avec distinction) du Collège militaire royal en 1995, après quoi il a été nommé officier de l'Aviation royale canadienne. Il a travaillé au Centre conjoint de coordination des opérations de sauvetage de Trenton, en Ontario, puis à titre de navigateur tactique à bord de l'hélicoptère Sea King, à Shearwater, en Nouvelle Écosse. Après avoir terminé son service au sein de la Force régulière, M. O'Toole a obtenu un transfert dans la Réserve et il a étudié le droit à l'Université Dalhousie. Il a obtenu son diplôme en 2003, puis il est retourné en Ontario, où il a pratiqué le droit des sociétés puis travaillé comme avocat plaignant pour deux grands cabinets d'avocats du Canada. Il a également travaillé comme avocat interne dans une grande entreprise de biens de consommation. M. O'Toole habite à Courtice, en Ontario, avec son épouse Rebecca et leurs enfants, Mollie et Jack.